Dr. Jaineel Gandhi is a Ophthalmologist/ Eye Surgeon in Bodakdev, Ahmedabad and has an experience of 5 years in this field. 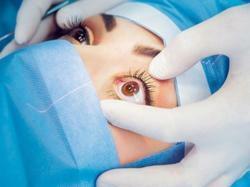 Dr. Jaineel Gandhi practices at SRG Eye Hospital in Bodakdev, Ahmedabad. He completed MBBS from Kesarsal Medical College & Research Institute, Ahmedabad in 2012 and MS - Ophthalmology from Padmashri Dr. Vithalrao Vikhe Patil Foundation's Medical College in 2015. 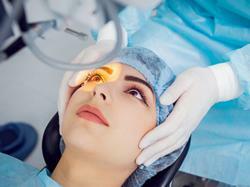 He is a member of All India Ophthalmological Society. Some of the services provided by the doctor are: Ptosis Surgery,Retinal Diseases,Retina Surgery and Lasik,Optical Coherence Tomography (OCT) and LASIK Eye Surgery etc.